I would like to thank the Commission and staff of the Division of Corporate Finance for inviting me to the Proxy Process Roundtable. This supplements my testimony at that November 15, 2018 event. My wife, Myra K. Young, and I are retail Main Street Investors, the large group so widely referenced by Chairman Clayton and other Commissioners. We typically buy and hold shares in our companies until they are bought our by larger firms. In the tradition of the Gilbert brothers, Wilma Soss, John Chevedden and others, we engage them on environmental, social and governance (ESG) issues in order to enhance their long-term value and to ensure corporate values do not conflict with the long-term interests of a democratic society. 50 didn’t go to vote. Of those, more than half were adopted by Boards. 6 failed vote on management proposal. After agreeing to submit a management proposal in place of ours, companies often do not make an effort to solicit for votes. Sometimes, directors even vote against management’s recommendation. 7 companies won no-actions by seeking ratification of “existing provisions.” This is clearly gaming the system and could potentially be used to thwart any shareholder proposal. My wife and I will increasingly turn to the organization As You Sow and the Center for Political Accountability for proposals focused on environmental and social issues. We do not seek to be troublesome gadflies, as some corporate Secretaries and attorneys have simplistically portrayed us. Instead, we work to promote important changes and are proud of the results obtained in cooperation with other investors and many public companies. We do not arrogantly claim that all our concepts for governance reforms are always the best approach but often we see a new idea being modified and later becoming a governance best practice. Thus, we help good corporate governance to evolve — benefiting our portfolio, our companies and society. With the advent of the Internet, prompt disclosure of expenditures can provide shareholders and citizens with the information needed to hold corporations and elected officials accountable for their positions and supporters. Shareholders can determine whether their corporation’s political speech advances the corporation’s interest in making profits, and citizens can see whether elected officials are ‘in the pocket’ of so-called moneyed interests. Too many companies have treated our resolutions with hostility and quick legal responses through challenges to the SEC or unsuccessful suits in federal courts. Others, we are pleased to report took the issues seriously and treated our resolutions respectfully. A few actually manipulated the rules and gamed SLB 14H to undercut our right to bring an issue to a vote. For example, several companies during the 2018 season won no-action relief by arguing “ratification” of “existing provisions” allows them to omit shareholder proposals seeking a change of those existing provisions. This is clearly gaming the system and could potentially be used to thwart any shareholder proposal. While too many companies generalize and portray our resolutions as a nuisance or an inappropriate burden on management, they conveniently ignore the fact that many mainstream pension funds and investment managers vote supportively. Shareholder agreement on the need for various changes should not be as a rationale for attacking the resolution process. Instead, it should be seen, as it has by most companies, as an opportunity for engagement and learning. We are certainly learning in this process. For example, we have been criticized for “filing by proxy,” when in fact this is simply working cooperatively with other investors and trying to do so efficiently. When companies raised this issue several years ago, we were pleased to follow procedures outlined in SLB 14I. We have not heard continued concern from any of the companies in our portfolios since November 2017 but, since the issue has been raised again by others in comment letters, we would welcome further clarification by staff, if SEC Staff. Frankly, we believe “filing by proxy” is simply a term of harassment. When a pension fund or mutual fund files on behalf of its investors or beneficiaries, they are filing for those individuals by proxy. When a company hires an attorney to seek a no-action, the company is filing by proxy. Any further SLB should clarify the right of any individual or organization to use an agent to act on their behalf without being subject to harassment. I would also like to make the point that we are always willing to have discussions with companies who sincerely wish to offer changes in their practices along the lines outlined in our resolutions. We do not believe that a group of individual Main Street investors filing approximately 200 shareholder resolutions a year deserves to be characterized in a negative fashion and should not be the stimulus for changes in the SEC rules that restrict the right of investors to file resolutions. Below are further comments, based on potential questions (in italics) from Staff provided to panelists in advance of the November 15 Shareholder Proposals Panel. Due to time constraints, most of these questions were not adequately addressed at that event. In order to facilitate compiling my input with those of other commentators, I have highlighted and numbered a dozen explicit recommendations for change. Engagement with shareholders appears to have steadily increased in recent years. For example, E&Y reported in July that 77% of S&P 500 companies disclosed engaging with investors this year, compared with just 56% in 2015. E&Y also reported that board involvement in those activities increased to 25% from 10% over the same period. One of the ways that companies and shareholders engage is through shareholder proposals. Rule 14a-8 enables shareholders to submit proposals to a company in which it invests for inclusion in the company’s proxy statement, subject to certain procedural and substantive requirements. Companies may seek the staff’s views on whether a proposal may be excluded from its proxy materials under Rule 14a-8. Although we are not required to respond to these no-action requests, we analyze the requests and any views expressed by shareholder proponents to assist both companies and shareholders in complying with the proxy rules. How do shareholder proposals affect company-shareholder engagement? Why? Companies are much more likely to engage if we file a proposal, which they are legally required to consider, versus a suggestion. There are, of course, exceptions. After submitting two successful proposals in two years, a corporate secretary has begun asking about the next issue on my list. Although I still filed, the Board adopted the measure and I immediately withdrew my proposal. However, there are numerous companies where shareholders have sought engagement that have never replied to letters. Shareholder proposals provide a guaranteed consideration of a proposal, which will hopefully lead to engagement on the issue. What is engagement like at the retail shareholder level – how common is it, and what obstacles, if any, do retail shareholders face in the engagement process compared to other types of investors? Companies are far more likely to engage with large investors like BlackRock and Vanguard than small retail shareholders. That is understandable. Additionally, many of the proposals I have filed, especially in the past, involved binary decisions like classified boards. Either a company has a classified board (with each director is up for a vote every three years) or they move to annual elections. I have never had a company suggest a compromise at electing directors every two years. When I started filing proxy access proposals, companies were more willing to engage… until common features arose among adopting companies. That said, I am always open to dialogue and negotiation. Should the Commission play a role in facilitating meaningful engagement between companies and their shareholders? If so, what role should the Commission or staff play in this process without engaging in rulemaking? What changes could be made to the Commission’s rules to further facilitate meaningful engagement between companies and their shareholders? The SEC’s no-action process already plays a very meaningful role in facilitating engagement by giving shareholders the right to engage directly with the company in which they invest. Recommendation 1: Provide more information on why staff has taken a specific position on no-action requests. This would be helpful to both companies and shareholder proponents. Recommendation 2: Allow greater flexibility to revise proposals once submitted and objections become known to foster more meaningful engagement. Current rules let shareholders make corrections of procedural issues within 14 days. Broadening this to also allow addressing substantive issues would certainly increase engagement, and would probably lead to fewer no-action requests. Shareholders are the ultimate owners of the companies in which they invest, and therefore also bear the cost associated with including a proposal in the proxy statement and with a company seeking to exclude a proposal from its proxy statement, whether the company is successful or not. What are the costs and benefits to all shareholders, including shareholders not submitting proposals for inclusion in the proxy statement? What are the benefits and costs to a shareholder proponent in submitting a proposal? The benefits of shareholder proposals are harder to measure than costs but are far more substantial in the long term. Most companies recognize that many good ideas come from employees. We do not want employees to just blindly follow directions. We welcome their ideas for improvement. Similarly, ideas from shareholders can contribute not only to long-term profitability but to less entrenched boards, more social cohesion and a salubrious environment. Spending a few hundred dollars and many days of effort for each proposal has paid off. The ability to engage has made us focus more on the long-term and enhancing the value of companies already chosen for their potential. Shareholder engagement has prompted improved disclosure on a variety of issues – from sustainability metrics to governance matters to political contributions. With better access to this data, shareholders have made better-informed decisions about investing in companies, and companies have improved their performance on issues that matter to shareholders. Shareholder engagement has prompted improved disclosure on a variety of issues – from sustainability metrics to governance matters to political contributions. With better access to this data, shareholders can make better-informed decisions about investing in companies, and companies can improve their performance on issues that matter to shareholders. What are the costs and benefits to a company associated with including a shareholder proposal in its proxy statement? How do those costs change if the company chooses to seek a no-action letter from the SEC staff regarding exclusion of a proposal? We continually look for ways to enhance the Rule 14a-8 process. For example, several years ago we began making our responses available in real time by emailing them to companies and proponents. We also post them to our website – typically within a day or two – to make other stakeholders aware of the outcome. We also reinstituted the practice of including some level of “explanatory language” in our responses to help stakeholders better understand the reasoning underlying our responses. Are there areas you think work well or could be improved? Are there things we can do to further improve the process overall? As indicated above, providing even more information on why staff has taken a specific position could be helpful to both companies and shareholder proponents. Allowing greater flexibility to revise proposals once submitted and objections become known, would also foster more meaningful engagement. Recommendation 3: Staff should create a sortable database of no-action decisions. That would help proponents and companies avoid the unnecessary expense of filing or responding to proposals that have little chance of inclusion in or exclusion from the proxy. The current ownership thresholds ($2000 or 1%) – last amended in 1998 – have sparked a great deal of discussion, including whether they appropriately balance shareholders’ ability to include a proposal for a shareholder vote in a company’s proxy statement with the associated costs to the company. What should the Commission consider if contemplating changes to the ownership criteria? Are there guiding principles that it should apply? Some have suggested increasing the ownership threshold. Should the current threshold be increased, and if so, what thresholds should be used? Should only a $ threshold or % ownership threshold be used? Should the minimum ownership threshold be tiered based on the size of the company? Even smaller shareholders should retain the right to engage the companies in which they invest. Retail investors often start with a small sum of money to invest in the market, but they should feel no less worthy than large institutional investors that are investing a great many shareholders’ assets in aggregate. If we want to encourage ordinary Americans to save more and invest in the market, we should keep the ownership threshold low enough to allow that sort of access. Currently, shareholders are required to hold the securities for at least one year by the date the proposal is submitted and also must represent that they will hold the shares through the date of the meeting. Are there alternative tests that could be used to demonstrate meaningful ownership in the company? For example, should the rules require a longer time period for length of ownership? Should the length of the required ownership period be based on the amount of shares held? For example, ownership of fewer shares could require a longer ownership period and vice versa. Are there factors that should be considered other than the amount invested and length of ownership? How might the benefits and costs of shareholder proposals change if the ownership requirements were changed? Staff questions only seem to consider movement away from participation and greater direct democracy. Consideration is given to “increasing the ownership threshold” and a “longer time period for length of ownership.” Staff should also consider aligning the right to file a proposal with the record date for voting. A study of 286 shareholder proposals submitted between 1944 and 1951 found that 137 or 47% were submitted by the Gilbert brothers. (The SEC Proxy Proposal Rule: The Corporate Gadfly, p. 830) The fact that three families submit a disproportionately high number of proposals is not historically unusual. Without early ‘gadflies’ like the Gilberts and Wilma Soss, shareholders would not have the right to file proposals, vote on auditors, or have executive pay disclosed and there would be even fewer women directors. Keeping the threshold tied to a dollar amount, if kept low, would allow access for retail shareholders and smaller investors. Using a percent guideline is likely to lock small investors out of the process and could potentially be challenging for the Staff to manage as companies continue to grow in size, requiring the Staff to continually reevaluate. To ensure robust markets and some semblance of democracy in corporate governance, it is crucial to allow all shareholders to engage on the full range of companies in which they are invested. A guiding principle that should apply to consideration of any changes should be what will encourage greater participation in the process by shareholders. What changes will lead Main Street investors to become long-term investors, knowing they have a voice in the governance of companies in which they invest? How can opportunity to engage transform speculators into long-term investors? We can compare this to being citizens in our local communities. Most of us do not move if our candidate or cause loses because we know we have a voice that may lead to the outcome we want in the future. Requiring a longer holding period in any way would simply discourage investment. Instead of focusing on ways to curb participation, look at ways to facilitate information dissemination to shareholders in order to increase the level of informed voting. Recommendation 4: SEC’s Investor.gov site should educate shareholders concerning their responsibility to vote. 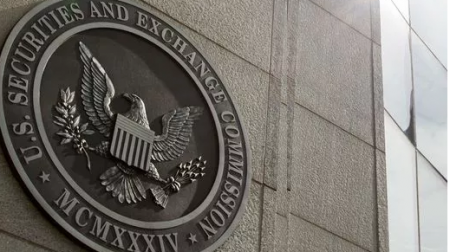 The SEC’s site should be revamped to not only focus on investors as consumers assessing risks, but as shareholders with the responsibility of informed voting and knowledge of how to fully engage with their companies. Holding stock in a company is not like owning a coin or a painting, which have no agency. Owning stock is owning a share in the most wealth-generating mediating structure ever invented between the individual and society – the public corporation. Just as public schools educate citizens in their rights and responsibilities as Americans, the SEC’s Investor.gov site should inform investors of their rights and responsibilities as shareholders. Recommendation 5: Publicize the fact that a growing number of funds publish how they voted on proxy items (and sometimes even the reasons for their votes) prior to the voting deadline. Reviewing such information is often helpful in deciding my own vote. I am sure many other shareholders would benefit from the insights of others, if they knew where to find the information. I have an incomplete list and links to disclosures made by about 15 such funds on the CorpGov.net website at https://www.corpgov.net/library/shareowner-action-handbook/ under the heading “Shareowner Action Handbook: Vote.” I assume there are several more such funds. The current rules include resubmission thresholds that allow companies to exclude a proposal that deals with substantially the same subject matter as a proposal that was included in the proxy statement in the preceding five years if certain thresholds are met. The current vote thresholds are 3%, 6%, and 10% for proposals voted on once, twice, or three or more times, respectively, in the preceding five years. In 1997, increased thresholds of 6%, 15%, and 30% were proposed, but ultimately were not included in the rule. Revisiting the resubmission thresholds: Should the resubmission thresholds be revisited? Why or why not? What are the potential advantages and concerns with increasing the thresholds? How might the benefits and costs of shareholder proposals change if the resubmission thresholds are changed? The current resubmission thresholds have remained unchanged since 1954. Have there been developments in the proxy voting process since that time indicating that revisiting these thresholds may be necessary or appropriate? The resubmission thresholds should be left alone. While it can be argued the $2,000 submission threshold could be raised to $3,000 to adjust for inflation, there is no similar rationale for raising the threshold for resubmissions. The biggest driver of proxy voting is public opinion. As we can see from many social issues, like LGBT rights, initiatives that are initially supported by a small minority can take years to develop and then policies can change rapidly. However, change is dependent on dialogue and understanding. In my own experience, it took several years of filing proxy access proposals until investors coalesced around what are now widely adopted standards. Raising the minimums can cut off the debate on worthy topics. NorthStar Asset Management, Inc. a Boston-based investment firm with which I sometimes partner, began filing proposals in 2001 asking companies to address potential problems with predatory subprime loans. This serious issue almost brought down our entire economy but at least NorthStar’s filings led to growing awareness of the issue, allowing those who paid attention time to reduce risks before the 2008 meltdown. In another example, NorthStar has been filing shareholder proposals on a specific human rights issue since 2008. At one particular company NorthStar filed with (PepsiCo), the first year’s vote was fairly low but the second filing at the company led to a productive engagement and a policy adoption on this issue. That company has now gone on to incorporate that human rights issue in much of its work and even received an international award related to that work. If the resubmission thresholds had been much higher, NorthStar would not have been able to re-file and the engagement appears to have greatly benefitted the company may not have ever happened. In a third example, NorthStar and I have often partnered with John Chevedden to raise the issue of unequal voting rights at companies where founder shareholders have 10 times the voting rights of outsider shareholders. We have filed such proposals for over 5 years, usually getting at least 20% of the overall vote. That 20% often equated to over 80% of “outsider” shareholders – meaning 80% of main street investors and institutional investors. Raising the thresholds might prevent resubmission even though such a high number of Main Street investors and institutional firms agree it is an important governance concern. Raising resubmission levels is in some way akin to banning short-sales. It allows the companies to ignore unpleasant facts, but eventually the market catches up. It is better to discuss the information available and possibly avert potential harm and even disaster. In October, the Division published SLB 14J, which addresses, among other things, board analyses provided in no-action requests that seek to rely on Rule 14a-8(i)(5), the “economic relevance” exception, or Rule 14a8(i)(7), the “ordinary business” exception, as a basis to exclude shareholder proposals. The SLB follows on SLB 14I, which invited companies to include in their no-action requests a discussion reflecting the board’s analysis of the particular policy issue raised by the proposal and its significance to the company’s business. While the submission of a board analysis is voluntary, we are hopeful that companies will provide a board analysis where they think it would be helpful to understanding a particular proposal at their company. Based on our experience with no-action requests involving discussions of board analyses this year, we issued SLB 14J to elaborate on the substantive factors that the staff finds especially helpful in evaluating a company’s no-action request. Are there other factors that a board generally considers in assessing the significance of a proposal that we should be aware of? My suspicion is that too many no-actions are filed without discussing the shareholder proposals with boards. I applaud Staff for encouraging boards to become more involved in the process. However, I am also concerned the SLBs can be perceived as Staff presenting a roadmap to help boards protect themselves from their shareholders. In SEC v TransAmerica (1948), judge Biggs ruled, “a corporation is run for the benefit of its stockholders and not for that of its managers.” I hope these SLBs are not viewed as a backdoor method of circumventing Rule 14a-8(g), which imposes the burden of proof on companies in permitting the exclusion of proposals. Are there additional aspects of Rule 14a-8 where a rule change or staff guidance would be helpful that we have not already addressed? Recommendation 6: Companies should be required to disclose the proponent in their proxy. Preventing shareholders from knowing and possibly communicating with proponents serves only to deny shareholders information that could be vital to more informed voting. Recommendation 7: Staff should examine the use of Rule 14a-8(i)(9) after the AES no-action decision in light of SLB 14H. The previous SEC Chair announced her intention to avoid “gaming” of the system. Substituting ratification of the company’s existing rule, which a proponent is trying to change with a proposal, is clearly gaming the system and serves no purpose other than delaying a vote on a shareholder proposal. Such delays increase costs, postpone shareholder voice and slow the adoption of good corporate governance. Recommendation 8: Funds should report their proxy votes more frequently, and in a searchable database. The annual Form N-PX reporting requirements do not facilitate use by Main Street Investors. We have a right to know how our funds voted. We should not have to wait a year, nor sort through hundreds of thousands of individual votes, especially at large fund families. Several SEC commissioners have expressed concern that many investors have little or no input into how their 401(k) and other retirement investments are voted. The first logical step in overcoming that problem is to provide investors with more information. They should be able to easily see how their funds voted on shareholder proposals they support or oppose, preferably before the votes are counted. If funds reported votes more frequently in a searchable format, investors could then compare the voting record of their funds to the record of others. If proxy voting is important to them, they could then possibly switch where they invest or ask the fund to vote differently. In the landmark decision Citizens United, Supreme Court Justice Kennedy expressed enthusiasm that technology today makes disclosure “rapid and informative.” The current N-PX requirements meet neither standard, being only once a year and allowing reports to be in a largely uninformative format. Recommendation 9: Investor.gov should link to innovators in the marketplace that are creating such opportunities, such as Shareholder Democracy at https://www.shareholderdemocracy.com. Critics of mutual fund voting point out Main Street fund investors have little in the way of voice as to how their shares and fractional shares are voted. Recommendation 10: Investor.gov should link to innovators in the marketplace that are providing less formal and less costly engagement mechanisms like Your Stake (YourStake.org) and Say (Say.com). Filing a shareholder proposal is difficult for Main Street investors and many companies would rather avoid the expense and publicity of formal proposals. Alternatives could lower the cost of such engagements. Recommendation 11: The SEC should amend Rule 14a-4, concerning the format of proxies, to facilitate innovation in offering proxy advice. Many corporations and their representatives complain about firms offering proxy advice but they do not address the root problem. Those paying for advice are not willing to pay for substantive research that focuses on the unique circumstances of each individual company. Instead, we have a one-size-fits-all approach that can be modified, usually in an M&A situation. An innovative approach, which relied on fostering market competition, tailored to each company, was disallowed by Staff because Rule 14a-4 unduly prohibits multiple choice decisions on a voting matter, other than under specified circumstances. See Caterpillar Inc. (March 24, 2014). SEC rules should not be used to stifle market innovation, especially when such innovation could result in more informed votes by shareholders. Main Street investors are an endangered species. Half of American’s have no investments in equities, not even mutual funds. The top 1% holds more wealth than the bottom 95%… before the recent roll back of inheritances taxes. Studies find a direct correlation between income inequality and political polarization over the last 60 years. Unfortunately, it manifests itself daily in the erosion of norms around civility, truth telling, declining trust in our institutions and political dysfunction. It is clear we need more real Main Street investors if America is to avoid plunging deeper into turmoil. One thing the recently formed “Main Street Investors Coalition” gets right is that real people have almost no ability to influence the decisions corporations make on their behalf. We do need to change that. However, the SEC cannot accomplish that goal by suppressing shareholder proposals and proxy advisors. Instead, we need to emphasize how real Main Street Investors can invest with our values, instead of despite our values. Contrary to Coalition pronouncements, there is no such thing as value-free economics or investing. When we abrogate our moral responsibilities, we tilt the rules away from ordinary citizens and Main Street investors to entrenched insiders. Common values must be created through open dialogue and elections, not by unaccountable individuals hidden behind dual-class corporate structures controlling our economy. Although buying a mutual fund is investing, most mutual fund holders do not really identify with the companies their mutual funds own. When I invest, I ask myself what the world needs and I try to find public companies that can fulfill those needs. True investing is not based on short-term speculation. Instead, buying shares should be considered just the start of a long-term relationship. Ideally, we should hope to hold shares in our companies forever. Along the way, we should be empowered to suggest ways our companies can improve, either through shareholder proposals or in other communications with the company. I recently read a wonderful little book, A Nation of Small Shareholders, about a NYSE campaign to get more Americans to feel like part of the capitalist system after WWII. It was a way to show Americans that capitalism offers more benefits than communism. As shareholders, they would also be more likely enhance their incomes and to favor lowering capital gains taxes. I know it is beyond the purview of the SEC, but to address inequality and a loss of faith in American institutions, our nation needs a campaign to make all Americans shareholders — not by taking away part of their Social Security, but by adding employer/employee mandated pension programs. Such a campaign should emphasize the shareholder’s voice in shaping corporate impacts, as well at potential profits. Instead of a program that makes all Americans ‘feel’ like shareholders but fails to instruct them in their rights or obligations, the SEC should be at the center of a program that educates investors on how to participate in the proxy process as responsible shareholders. In amending the proxy process, the SEC should look to enhance corporate engagement with their shareholders and the engagement of shareholders with each other to ensure corporate governance reflects the ever changing values of investors and society.